Male: A petition seeking the disqualification of former Maldives president Mohamed Nasheed from contesting all future elections for allegedly criticising sharia and judiciary was filed in the Supreme Court here today. The petition by two political activists, including ab member of the Progressive Party of Maldives of former President Maumoon Abdul Gayoom, states as grounds for stripping Nasheed's candidacy his "outright criticism towards Islam and imposing Islamic Sharia in the Maldives" and his "criticism of the judiciary". PPM member Mohamed Waheed Ibrahim said he believed that Nasheed had violated the spirit of the constitution and the highest court needs to make decision over the former president's candidacy. Nasheed, 46, had won the first round of September 7 presidential polls in the country which were annulled by the Supreme Court later. The apex court also directed the authorities to complete the election process by November 3 with first round to be wound up before October 20. Election Commission has now fixed October 19 as the date for first round. Meanwhile, President Mohamed Waheed condemned efforts to annul candidature of Nasheed. In a statement issued today by the President's office, he said this is not the time to engage in efforts to obstruct or bar candidates from going through the electoral process. 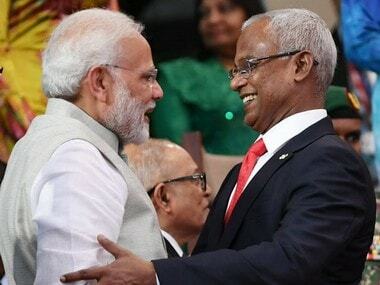 "President Dr Mohamed Waheed has condemned efforts by individuals to stop former President Mohamed Nasheed from running for Office of President of Maldives," it said. 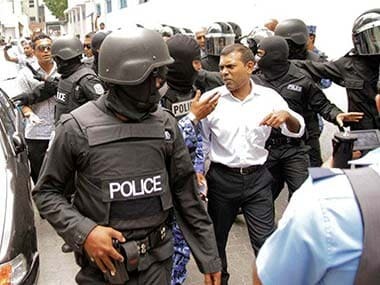 The statement quoted Waheed as saying,"It will not help resolve the already volatile political situation in Maldives." Waheed, who was the vice-president in the government of country's first democratically election President Nasheed, had taken over as President after the latter had to resign under duress in February 2012.
been in a state of flux since February 2012 when Nasheed, the country's first democratically elected President, was forced to resign under duress. 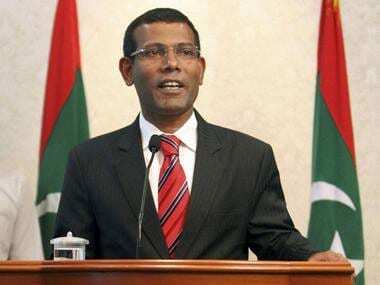 He was succeeded by then Vice-President Waheed.